In this mixed lecture and cooking demo, Prof. Ulpiano Vázquez and Chef Víctor Pérez introduce us to the ecosystem of Spanish gastronomy with special emphasis on its cultural dimension. The class includes a hands-on demonstration of different Spanish products and recipes that illustrate the influences of the different cultures that have passed through Spain. Ulpiano J. Vázquez, Marketing Manager at Le Cordon Bleu Madrid. Doctor of Gastronomy and Place Branding, is professor of Sociology of Consumption at Universidad Francisco de Vitoria (Spain), co-author of the Spanish Gastronomy Dictionary and International Guest Lecturer at different Universities and fora on gastronomy marketing and consumption. 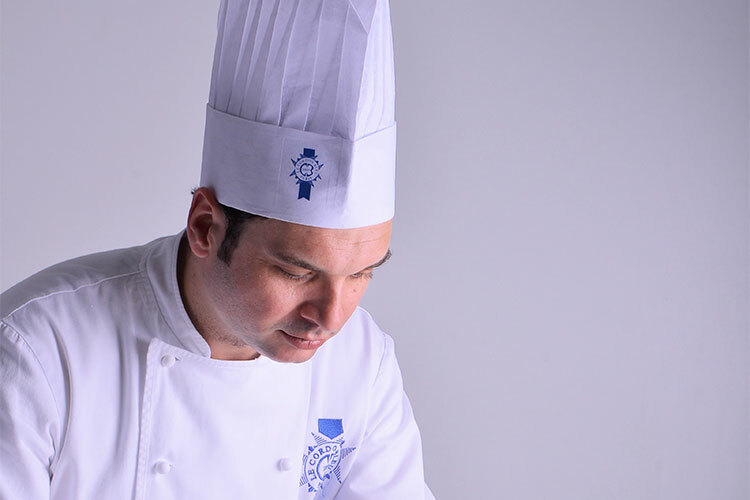 Chef Víctor Pérez is the Director of the Spanish Cuisine programmes of Le Cordon Bleu Madrid. He received his training in classical techniques in the French Basque Country and started his culinary career in the United Kingdom. Back to Spain, he has gained an extensive culinary experience in some of the best Spanish kitchens, such as Martín Berasategui’s, Pedro Larumbe or Santceloni. Wine and cheese from Spain. Pairing seminar. $25/ Free with invitation code.